As usual, go through the booking process as described in How To Book page. 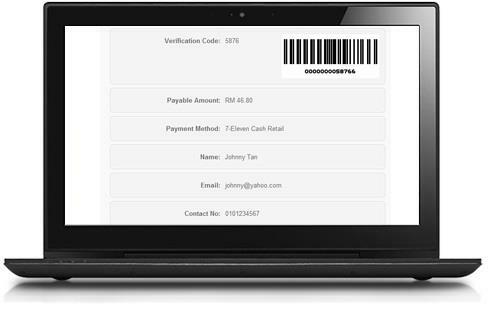 After you have selected your seat, you will be required to select your payment type. 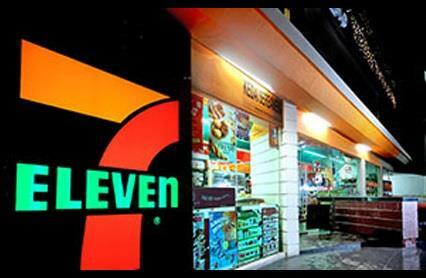 Please select 7-Eleven as shown in the image. 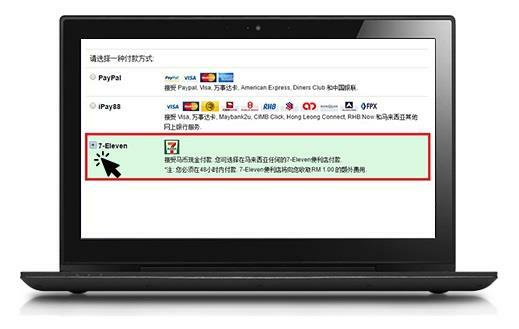 After you have selected 7-Eleven payment option and click “Proceed to Payment”, you will be redirected to MOLPay 7-Eleven payment website. Click “Next” and a voucher will be generated as shown in the image above. Please print out the voucher with the barcode. 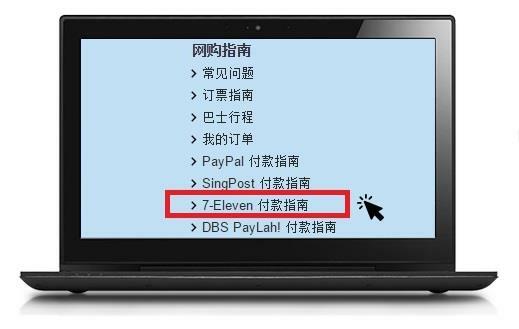 – You must print out the payment voucher if you are going to pay in 7-Eleven branches. – You need to make your payment within 48 hours. Seat is reserved for 48 hours only. Bring the printed voucher to any 7-Eleven Outlets within Klang Valley area (Malaysia) to pay for your ticket purchase at BusOnlineTicket.com. Upon successful payment, you should receive booking confirmation sent to your email within 30 minutes. Done! You’re now ready to travel!